I love matcha, there’s no denying it. 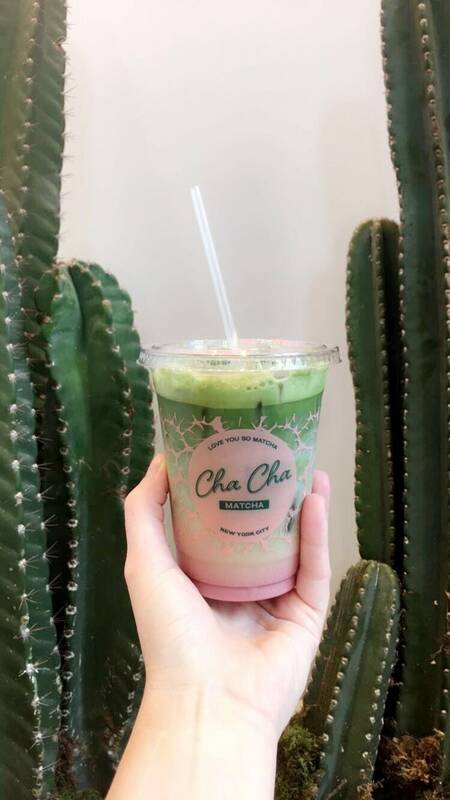 Ever since I discovered the powdered green tea when I first moved to New York City back in 2015, I’ve kept my eyes peeled for cafes that offer the delicious Japanese drink. So, it’s no wonder that when I discovered not one, but two, coffee shops next to my new office that carry the Instagram-worthy sip, I became a frequent consumer. And by frequent, I mean every day. As soon as I woke up (often tired despite trying to snooze for the recommended eight hours each night), I looked forward to ordering my favorite coconut matcha latte at Ground Central, a beloved NYC coffee chain, to wake me up. With matcha being widely known as one of the most desirable ingredients among the Instagram-happy wellness set, and hearing that coconut milk was considered by some to be a healthier alternative to cow’s milk, I felt like I was making a healthy decision by starting each and every day for the past seven months with coconut-infused green goodness. Norris fueled tired mornings with coconut matcha lattes from her favorite New York City cafes. Ever since starting a new job as a beauty editor, I had watched in dismay as my body changed before my very eyes. I used to step on the scale and see the same steady numbers (even throughout college); but now I was wincing at the 30-pound weight gain that I’d steadily packed on since accepting the job. Despite being told that I carry the weight well due to my height and that the gain has gone unnoticed, I continued to find it not only confidence-crushing, but confusing, too. After all, I make healthy(ish) decisions and I’ve been eating the same diet for my entire time in the city, so why now? As always, my mom had the answer. “Haven’t you been drinking your matcha with coconut milk every day?” she asked. I rolled my eyes. Initially, I didn’t understand why she needed to know about my morning beverage choices as I was maneuvering the New York City subway system, but as I sat listening, it clicked. It turns out that one of her coworkers, a healthy man in his mid-twenties, has the same hankering for the coconut-infused green drink. And, oddly enough, he too had been gaining serious weight without making the correlation. After speaking with his aunt, who is a nutritionist, he learned that coconut milk — which so many people believe is a super healthy swap — is actually only a good choice in moderation. Which I am pretty certain 16 ounces every day surpasses. It was time to get to the bottom of my seemingly healthy habit — and the not-so-healthy weight gain. I dialed up Bonnie Taub-Dix, RDN, creator of BetterThanDieting.comand author of “Read It Before You Eat It.” I sat in anticipation hoping that my phone call with my mom had all been some kind of cruel joke. 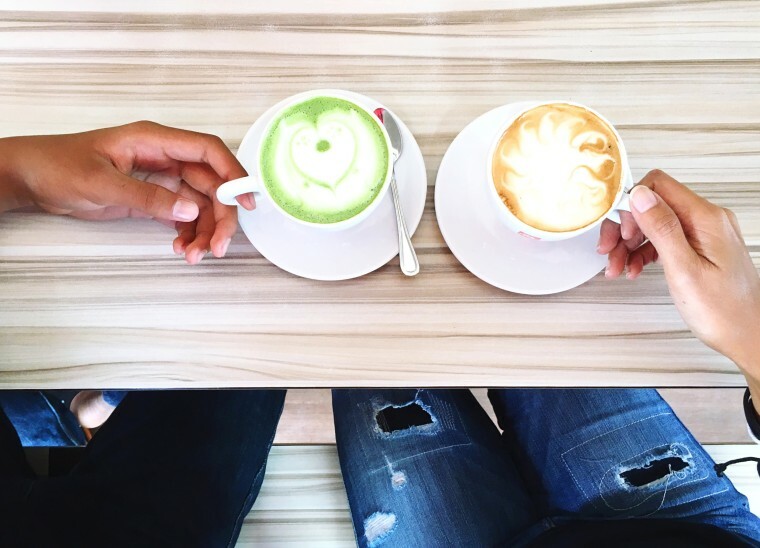 I mean, how could coconut matcha lattes be bad for you? How could they be to blame for a 30-pound weight gain? So many foods today have health halos that make them seem like they’re healthier for you than they actually are. As soon as I filled Taub-Dix in on my story, she was on the case. She explained that matcha alone, with its high concentration of powerhouse antioxidants, can boost your immune system. But when you start adding it into today’s trendy cakes, cookies and yes, coconut lattes, you’re actually diluting the benefits by adding other ingredients that actually may be harmful for your health. According to Taub-Dix, so many foods today have health halos that make them seem like they’re healthier for you than they actually are. It’s important to know the facts: If you’re making coconut-based recipes at home, one cup of coconut milk (from a can) clocks in at a whopping 450 calories and 43 grams of saturated fat, and just one tablespoon of coconut oil has 120 calories and 12 grams of saturated fat. While saturated fats may not have quite the bad rep that they used to, the American Heart Association still recommends keeping your daily intake at just 13 grams (for a 2,000 calorie diet). Clearly those coconut-containing food and beverages are putting you well over that daily limit, especially if you aren’t measuring portion sizes carefully. My beloved coconut matcha latte contained about 190 calories and 7 grams of saturated fat — putting me half way towards my daily intake before I even arrived at the office. So, if you like coconut milk or coconut oil you can certainly enjoy it as part of your diet, but moderation is definitely key, since it packs a serious fat and calorie punch — which, unchecked, can lead to serious weight gain. After doing some research, I found that my beloved coconut matcha latte contained about 190 calories and 7 grams of saturated fat — putting me half way towards my daily intake before I even arrived at the office. WHAT ABOUT OTHER TRENDY HEALTH FOODS? Taub-Dix points out that, much like fitness, it’s impossible to institute strict diet rules on how much someone can eat of a specific food because it’s so subjective. “Just because something is good for certain people, other people begin to think that those same guidelines will help them find eternal health, which isn’t always the case,” says Taub-Dix. Take gluten, for example. Where gluten-free products can be absolutely life-changing for people who are allergic to it, when people who don’t have the allergy are hopping on the trend with cookies, donuts and pizza, they’re just fooling themselves into thinking these products are healthier than the gluten-containing alternatives. The same is true of fat-free diet foods. According to the National Heart, Lung and Blood Institute, eating fat-free or reduced-fat foods isn’t always the answer to weight loss. This is especially true when you eat more of the reduced-fat food than you would of the regular item. While the bright label might indicate one thing, flip it over and the nutrition facts will show that while fat may be taken out, other ingredients, like massive amounts of sugar, might be added in its place, quickly turning that “healthy” choice into a diet disaster. “And don’t even get me started on cafe-made acai bowls, smoothies and salads,” says Taub-Dix. “So many of these store and restaurant-bought products can be overloaded with as many as 1,500 calories because what starts with good intentions can quickly get blown out of proportion with added ingredients like nut butters, dressings and other calorie-heavy additives.” Yet, people will gobble them down, while still being afraid to eat bread because of the carbs and calories, she adds. The next time you find yourself scrolling Instagram and catching wind of a new trendy health food, be sure to take pause. “In this day and age it’s hard to avoid information about diets,” says Taub-Dix, “but with so much information out there, it’s important to realize that there’s a lot of misinformation, too.” So, the next time you see something that seems too good to be true, make sure to approach the fad diet or trendy food with common sense, instead of a search for a miracle cure. As for those coconut matcha lattes? It certainly hasn’t been easy cutting them out, but with the help of almond milk, it’s been doable. Now I reserve the delicious 16 ounce coconut drink as a once-a-week treat. And knowing that in a few weeks time I’ll look and feel better, and finally be able to start reversing the numbers on the scale, is just as sweet.